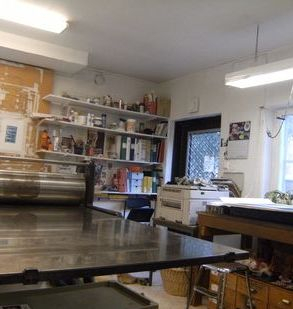 From left to right: visiting Dublin printmakers, my workshop in Stockholm and one of my early etchings. I was born in Stockholm 1960. 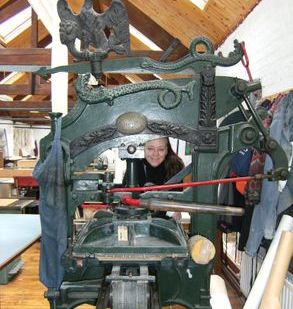 I started to print in 1986. 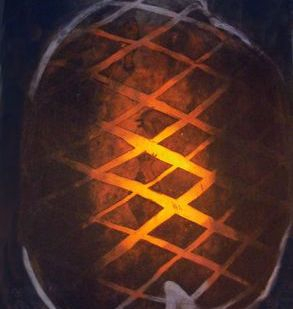 I work experimentally and mix techniques such as drypoint, etching, glueprint and linocut. I like using material like textiles, glass and cartoon. I usually print several plates while working. 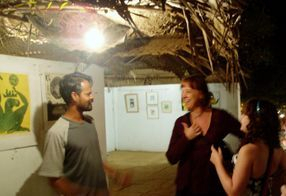 This is India 2006 when I met Santosh Morajkar, an Indian printmaker, at his exhibition in Goa.